This copy is in poor condition, with marks of adhesive tape and tattered edges. Printed on the cover in green ink: Queanbeyan Centenary Committee Seal at the top. 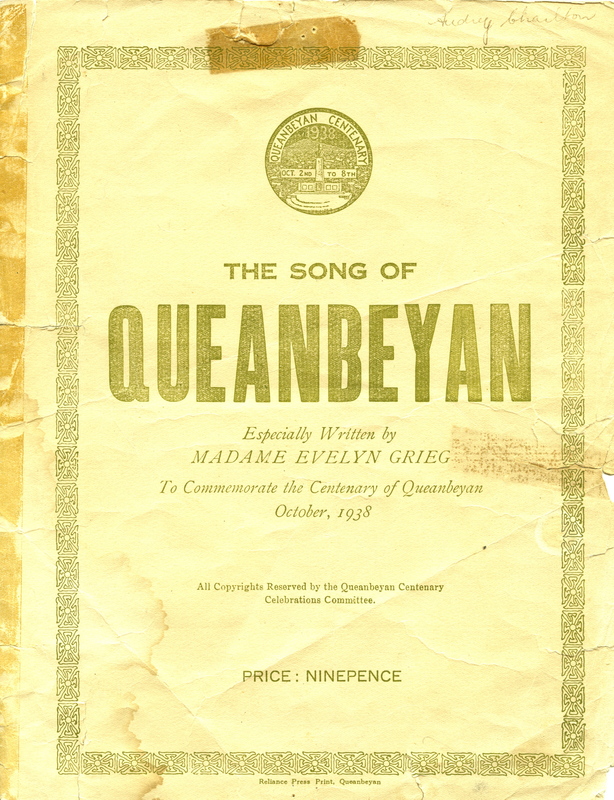 The Song of Queanbeyan, Especially Written by Madame Evelyn Grieg to Commemorate the Centenary of Queanbeyan, October, 1938. All Copyrights Reserved by the Queanbeyan Centenary Celebrations Committee. Price of Ninepence. The music is handwritten with the words typed underneath. You will hear me sing this song. 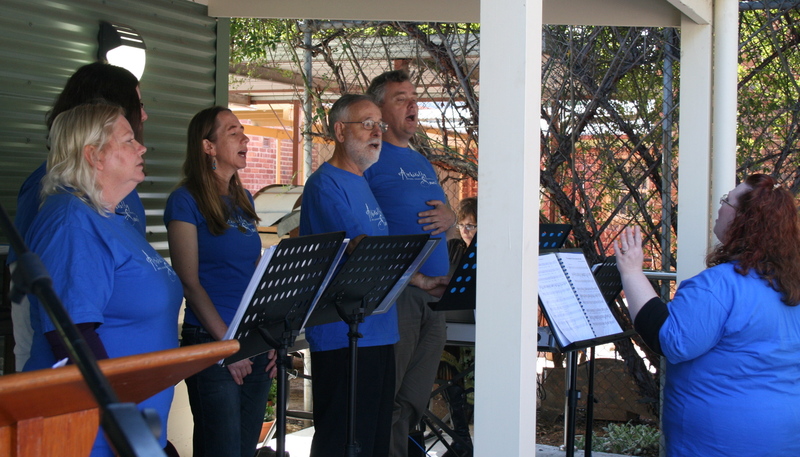 The song is of local historic importance as marking a significant occasion in Queanbeyan’s development, and as part of a conscious effort by the Mayor and citizens of the town to put forward its claims to be recognised both as part of Canberra’s history and against the more prestigious capital city. The letters of the committee demonstrate a need to involve the politicians of Canberra as well as be recognised by them. The sought after and rejected half holiday shows well the power relationship. 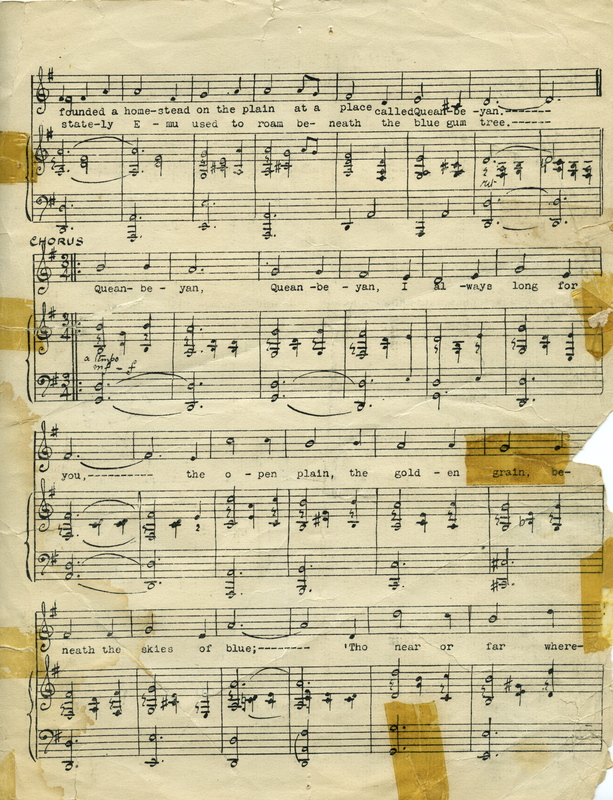 The original manuscript, sheet music to the Song of Queanbeyan, along with the recording of the song constitute a powerful reminder of a significant event in Queanbeyan’s history. The continued use of the song in the 21st century indicates its contemporary importance in reinforcing Queanbeyan’s identity, particularly in relation to Canberra. Here Jack Lumsdaine like most modern perfomances of the song sing only the chorus and the first verse. As a representative of a popular genre it has been thought worthy of retention by National collecting institutions but its principal value is in Queanbeyan as a symbol of the city’s search for identity and as a link to its local history. 1. Second copy: Printed single fold grey card with green print on cover – words and music- all copyrights reserved by the Queanbeyan Centenary Celebrations Committee. Priced Sixpence and dated October, 1938. 2. Prestophone Pty Ltd gramophone record of the song as part of a disc called Queanbeyan Centenary Songs, sung and played by Jack Lumsdaine. 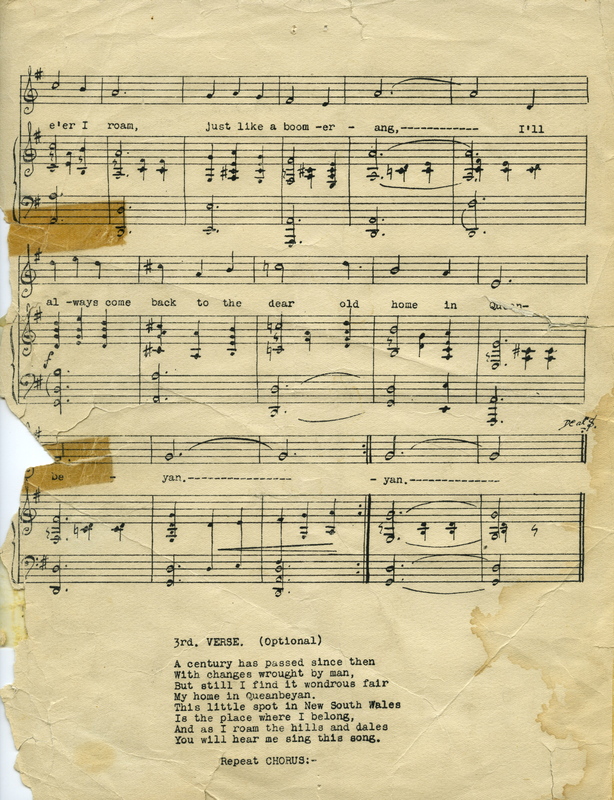 The recording is labeled as: Donated by Mrs Roffe (Ruth) (daughter of Stan Mason) Mrs Roffe’s first job in 1941 was at 2CA. Feeling against Queanbeyan was such that when leaving the job, she was handed this record and told “here, you might as well take this with you”. 3. 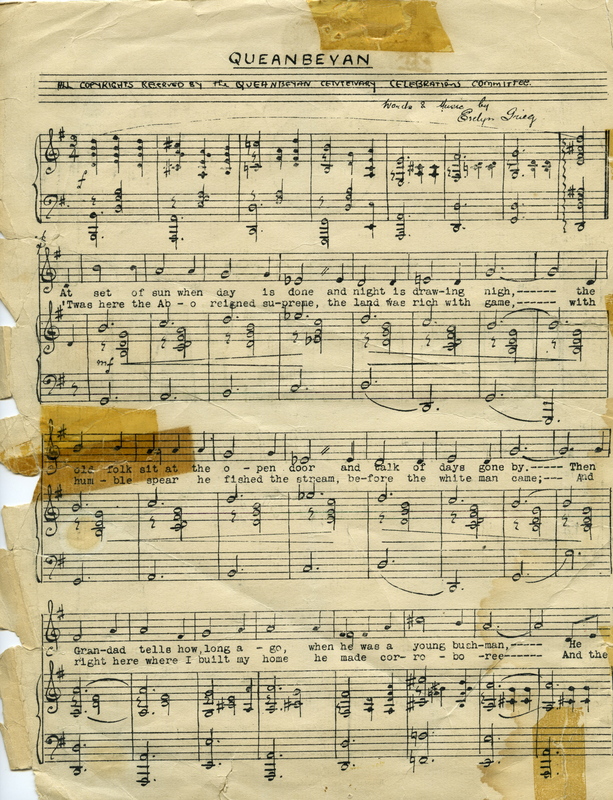 One manuscript page of another entry in the Queanbeyan Centenary Song Competition from G Wright of Mt Fairy.